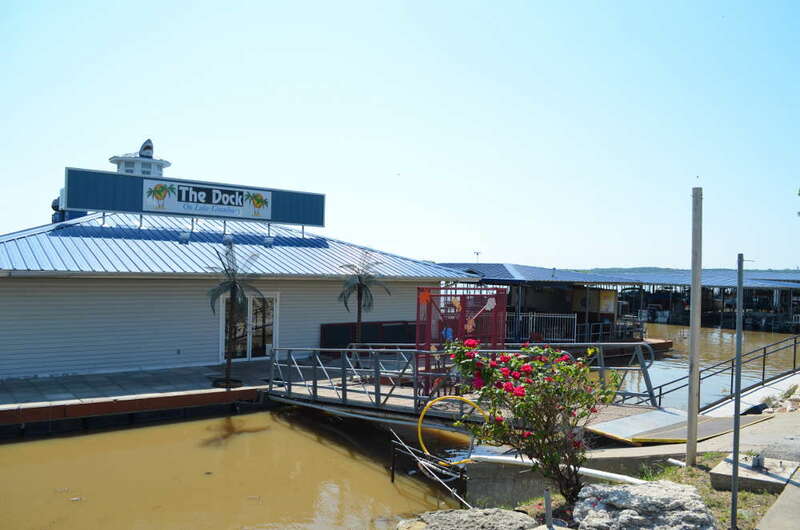 The Dock is a restaurant, bar, and boat dock located on a floating dock on the west side of Lake Granbury. The Dock is located very near downtown Granbury, Texas. The Dock offers food, drinks, fun, boat slip rentals, and jet ski rentals. This is probably the most fun restaurant for dining along Lake Granbury. There is often live music and fun events going on. You can pull your boat up to The Dock and dine lakeside.